Hostelz.com was started way back in 2002 because we saw a need for a better hostels guide website that really gives you all the information you need to find the best hostels. Over the past 12 years this site has grown to become the largest and most complete hostels database on the web (actually, it's now the only real worldwide hostels guide online). We're based in Austin, Texas (USA). Some of what this site offers includes free complete listings for all hostels worldwide including direct contact information, quick searching, genuine unbiased reviews, original hostel photographs, comments from other backpackers, and a reservation system that searches for the best prices and availability across all of the major booking systems. And we keep all of our pages clean and simple with no pop-ups or banner ads so it's fast and easy to find the information you want. By working with all of the major hostel booking systems, we are able to combine all of their data with our own database of hostel information and exclusive reviews, along with online booking price comparison, giving you all the information you need to find all the best hostels on one website. There is no reason to ever look anywhere else for hostel information. We don't spend a ton of money on advertising like the hostel booking sites do. We just rely on word of mouth from travelers to spread the word. Once they discover Hostelz.com, most people never go back to using any other hostel website. What makes this site different than the other hostel websites? A lot of things. Here's a list of some of the major differences that put Hostelz.com in a completely different league than any other online hostels guide. Hostelz.com has the largest hostels database on the web. In fact it's now the only comprehensive worldwide hostels database. The other sites only list hostels in their booking system (hostels.com used to list all hostels, but no longer does since they were bought out by HostelWorld). We list all hostels worldwide, for free. We include direct phone and website contact information for hostels in their listings (when available). Other sites would never do that because they're really just booking systems, not hostel guides. When you want to make a booking, our system searches and displays results from all of the major hostel booking sites to you can choose the lowest price and the best availability no matter what. Hostelz.com has the best genuine reviews. We never allow hostels to censor their own reviews. We believe you should be able to read everyone's opinions about every hostel, both good and bad. In addition to user-submitted reviews, we also have paid reviewers who visit each hostel in person to write more thorough comprehensive reviews (these appear at the top of the page, separate from the user reviews at the bottom of the page). Our reviewers also photograph each hostel so that we can show our users what each hostel really looks like on a typical day, not just the glossy perfection of photos provided by the hostel owners. We also give you ratings and reviews from the major hostel booking sites so that you get a complete picture of how each hostel is rated. We take all of the ratings from our site combined with ratings around the web, and calculate the Hostelz.com Combined Rating for each hostel. This is a special weighted average that is not just a simple average, but it takes into consideration the number of reviews. The Hostelz.com Combined Rating is the single most reliable indicator of the quality of the hostel that exists anywhere. We've been online for more than 10 years (since 2002), so you know it's a website you can trust. We could keep going, but those are at least some of the major points. And we're not done yet. We're working on many more neat new features that will be going live on the site this year. So stick around, it only gets better. 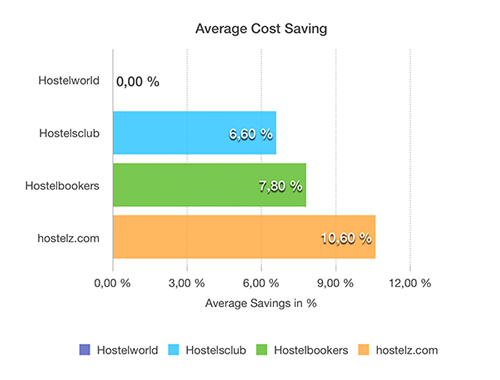 How much can I save by using Hostelz.com's price comparison system? On average 10.6%, as much as 50%-60% on many bookings depending on the hostel. See the complete price comparison study. Why stay in a hostel? A hostel (also called a youth hostel) is like a hotel except at a hostel you can get a bed in a dormitory room which you share with other travelers. Of course this means that you can stay for less money than you would pay at a hotel for private room. But there's more to the hostel experience than that. Hostels are primarily used by young travelers, including many people who are traveling alone. 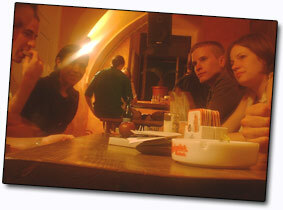 So a hostel is also a great place to meet other young backpackers to swap travel stories or hang out. Modern hostels now usually also give you the option to stay in inexpensive private rooms. The atmosphere of a hostel can vary greatly. Some are big social hang outs with pool tables and a bar, and some are quaint little homey places run by a sweet old lady. The reviews and descriptions on this site will help you to find the ones that fit what you're looking for. How does the online reservation system work? We have partnerships with all of the major hostel booking websites. So when you search for available beds on Hostelz.com, our system checks each hostel booking website to find the best price and availability for the dates you requested. Because hostels put only a portion of their available beds in each online booking system, the same hostel may have available beds in one booking system but not another, and at a completely different price. So when you use Hostelz.com, you're guaranteed to always get the best availability at the best price. When you make your booking, you complete the booking process on the Hostelz.com website, and we instantly process your booking through whichever booking system is being used for that booking. The process is similar to how travel websites like Expedia or Travelocity let you make airline bookings for various airlines. And there is no extra charge for using Hostelz.com, you always pay the lowest price available when you book through Hostelz.com. Unlike some hostel guides, we don't accept payments of any kind from hostels to be listed or reviewed on this site. All listings are completely free, and of course the site is free to use. So how do we make money? We get a percent back from the booking companies for hostel beds that are booked through our site. This is done with no added cost to the customer. That helps pay for running and maintaining Hostelz.com, so that's why if you use our site to find a hostel, we appreciate it if you also use our site to make your reservation. How can I help spread the word about Hostelz.com? Because we're primarily an information resource, we can't pay for tons of advertising like the booking websites do. We rely on word of mouth and support from travel blogs and the online community to get the word out. If you have a website or blog and you like Hostelz.com, please link to us. We appreciate any help we can get to let people know about our site. How can I add a new hostel to your site? Use this form to add a hostel. 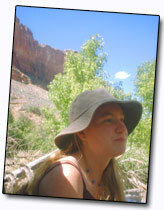 There are no fees of any kind to list a hostel, all listings on this site are completely free. Hostelz.com provides this site and its contents on an "as is" basis and makes no representations or warranties of any kind, either express or implied, including, but not limited to, the implied warranties of merchantability, fitness for a particular purpose, or non-infringement, with respect to this site or its contents. Hostelz.com provides various information and commentaries. We do not warrant the completeness or accuracy of the content found on our web site. Furthermore, we do not warrant that the information is current. Hostelz.com also makes no promises that the content or the service itself will be delivered to you uninterrupted, timely, secure or error-free. By using the Hostelz.com web site you agree that under no circumstances will Hostelz.com be liable for direct, indirect, incidental or any other type of damages resulting from your use, or downloading of any content on our web site. This includes, but is no way limited to, loss or injury caused in whole or in part by our negligence or things beyond our control in creating or delivering any portion of Hostelz.com. You are responsible for your own research and decisions. All data, photos, reviews, and comments submitted to Hostelz.com become the property of Hostelz.com. You also agree that Hostelz.com will not be liable for any decision made or action taken by you or others based upon reliance on reviews, information or any other material published by Hostelz.com. The entire Hostelz.com web site relies on various sources of information that we believe to be accurate and reliable. However, we make no claims or representations as to the accuracy, completeness or truth of any material contained on our web site. Comments and reviews are submitted as part of an open forum discussion and Hostelz.com makes no claims and takes no responsibility for the content of reviews and comments submitted to the site. See our Packing Guide for tips on packing. See our Suggestions for Hostel Owners for information about what makes a great hostel.